Franchisee validation can make or break the sale of your candidate. Pow! Just like that, a once-supercharged prospect can deflate to nothing in 24 hours, bailing out of your process almost instantly. Validation is the most influential stage in the selling process. What franchise owners say means far more than what a corporate sales person tells them. Franchise operators are doing it and living it, and it's their experiences that count foremost with cautious buyers. Be sure to prepare your current franchisees for responding to prospective new owners. Recognize their efforts, follow up with them, and show your appreciation for taking their valuable time to speak with your prospects. They once were "newbies" who called franchisees to gain a better perspective about the franchise program before they decided to join. To make it easier for your franchisees, provide the candidate with a required pass code your franchisee can ask for, so they are assured the prospect isn't a competitor shopper, or an individual who hasn't been qualified by corporate yet. This chases away any of these fishers. provide top owners with advance notice of a highly qualified prospect who will be calling, so they know the importance of responding to that person. I was fascinated by Aussie Pet Mobile's remedy for ensuring a fast, effective connection between serious prospects and franchisees. Aussie is the largest mobile pet washing franchise, largely "driven" by multi-unit franchisees. In their recruitment process, franchisee phone calls are now the last step before their Discovery Day visit. 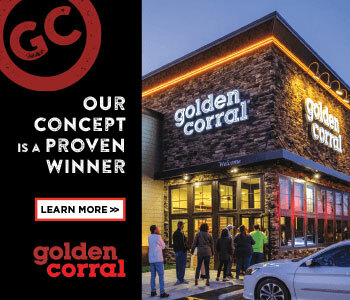 David Louy, executive vice president, said delayed responses and time-robbing phone calls had been eliminated, which benefited both qualified buyers and his busy franchisees. "You may think we lose deals by only permitting prospects to contact our owners after they have booked Discovery Day. Doesn't happen! It's all about setting expectations and establishing our well-defined process with candidates right up front."